This year saw a new departure for our Friary in Kilkenny. It has been designated as one of a small number of ‘International Fraternities’ by our General Minister, Brother Mauro. What does this mean? Well, in simple terms it means that the fraternity in Kilkenny has been strengthened and enhanced by Friars from other European provinces. It also means that this Fraternity becomes a beacon of what it means to be Capuchin today; Brothers of the people, in mission together. Francis always reminded the Friars that ‘the World was their cloister’ and fraternities like the one in Kilkenny make this a visible reality to the wider community. As well as our own Friars from the Irish Province (Brothers Terence, Sean, Philip, Benignus and James) Kilkenny is home to our Noviciate Community (representing Ireland, Great Britain and South Africa) as well as to Brother George Stopa (Poland) and Brother Alberto Vaccaneo (Italy), and Molly of course, the Friary dog! The brothers who have come have brought with them their unique gifts and talents, as well as their generosity in sharing them. 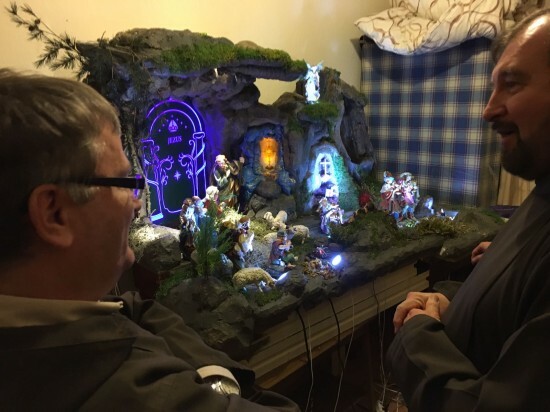 For example Brother George from Poland has been quietly working away for the last two months creating a magnificent Christmas crib, complete with lights and moving parts. The crib is a precious symbol in Franciscan Spirituality and Brother George has done a magnificent job. Brother George’s hand-made Christmas crib. 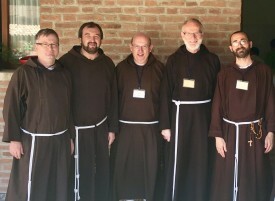 In fraternity, each Friar is a gift from God to the other Friars. 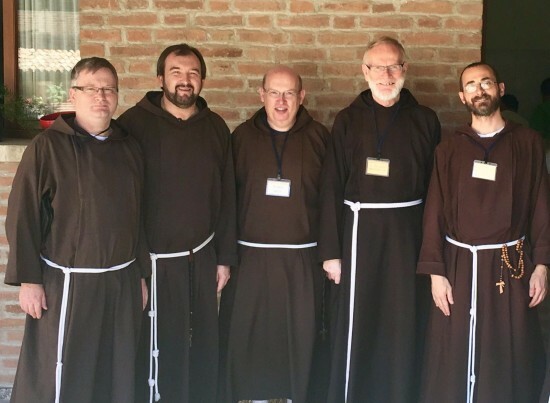 As Capuchin Franciscans Friars, we serve God by serving our brothers in Mercy and Love. The International Fraternity in Kilkenny will undoubtably be a leaven for the local community of faith, our Province and the church. To be a Capuchin Friar is to be a brother; to each other and to those we have the privilege of ministering to. We are ‘Brothers of the People’ called to be men of ‘reconciliation, forgiveness and peace’ and this Fraternity is a great example of this.